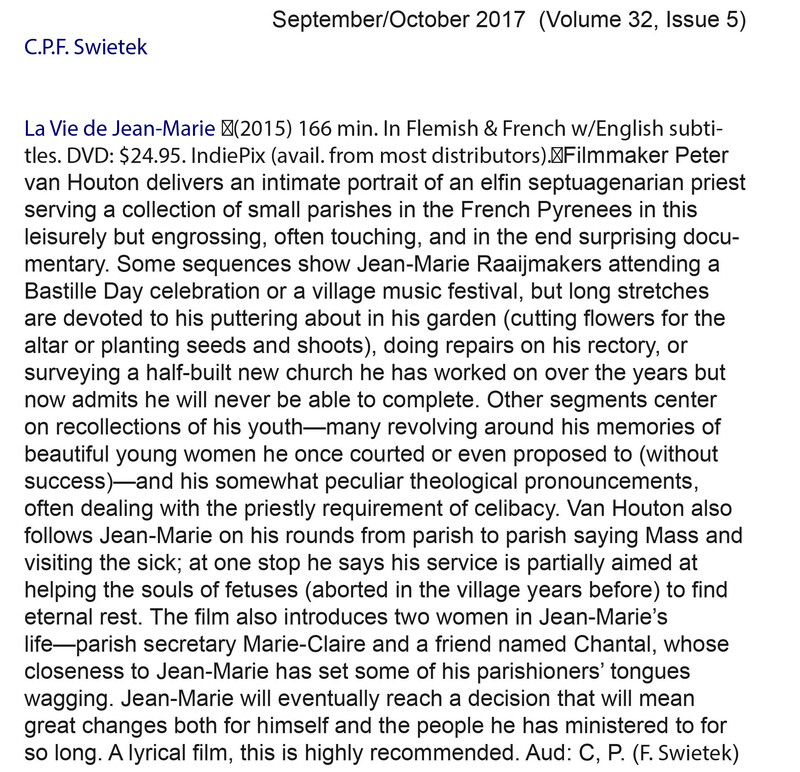 The film “The life of Jean-Marie” is a form of observational cinema (cinéma vérité) as well as being a feelgood movie. Jean-Marie is the eldest son of a large family, of which the Dutch father bought a mountain in the French Pyrenees in 1948. Now he is a pastor for 25 villages located in the area. 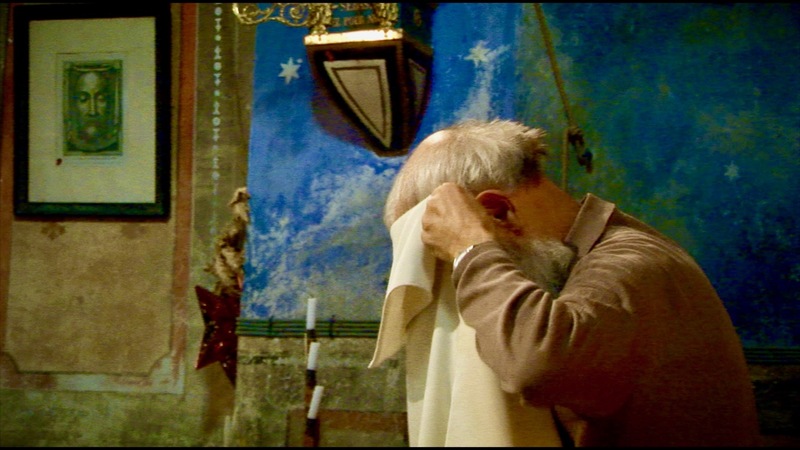 Jean-Marie speak of the harsh rejection by the great love of his youth in the village of Olette, his subsequent taking of the cloth as well as his spiritual love for his neighbour later in life. With his simplicity, openness and humour he manages to move us all. At the age of 75, he makes a drastic decision that leaves everyone baffled. 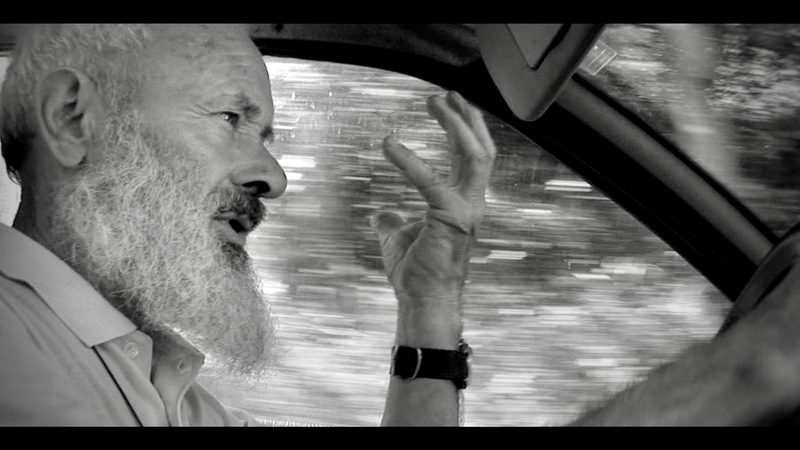 The life of Jean-Marie is now available on the IFFR platform Unleashed. Watch it here. “The opening shot was perfect: powerful, poetic and super realistic and super concrete because of the twigs and leaves that fell on the lens. The the burst of color with Jean-Marie in his cobalt blue overall amidst the flowers. The artist that you are is very convincing.” Read the full article here. 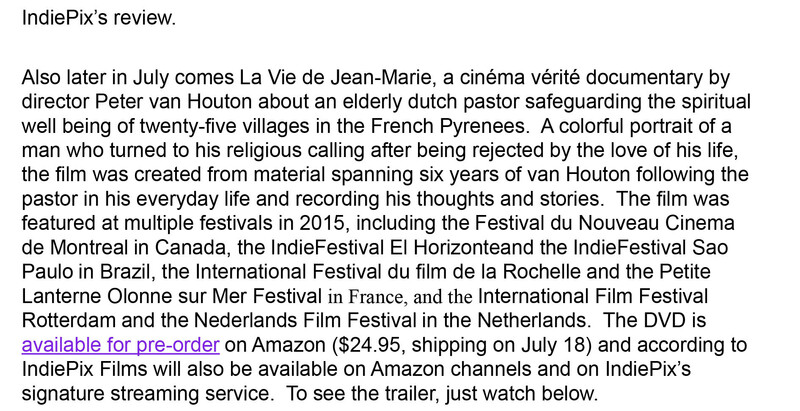 “The life of Jean-Marie is a poetic, 166-minute portrait of septuagenarian Dutch pastor. (…) Peter van Houten filmed Jean-Marie over a six year period, from 2004 till 2010. (…) ‘He gave me carte blanche. 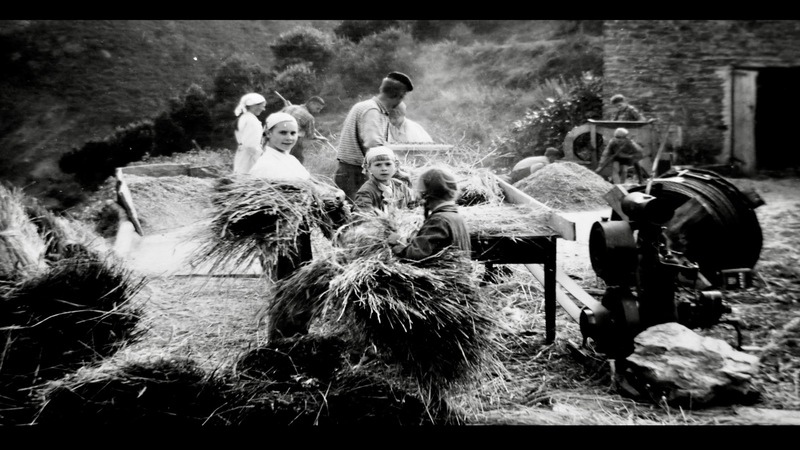 He liked being filmed, referring to the camera as a curious little boy'” Read the article here. “A colorful portrait of a man who turned to his religious calling after being rejected by the love of his life.” Read the review here. 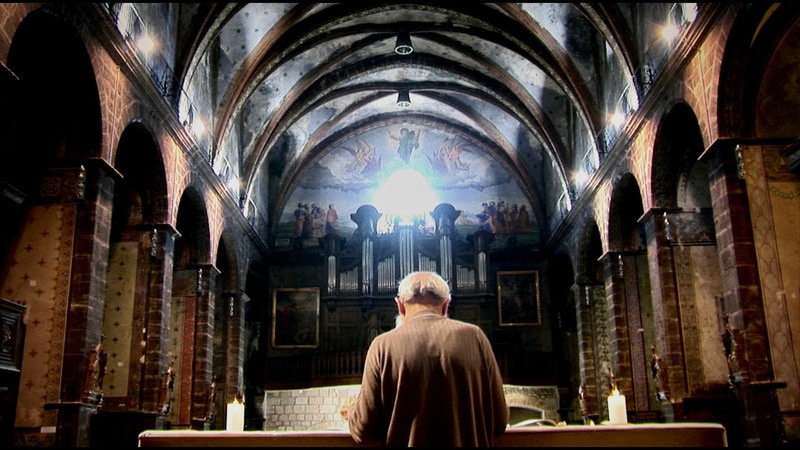 “At 2 hours, 46 minutes, the documentary often has a rambling feel, and some judicious editing would definitely improve the pace, which suggests the laid-back existence of Jean-Marie and the mountain people he visits. 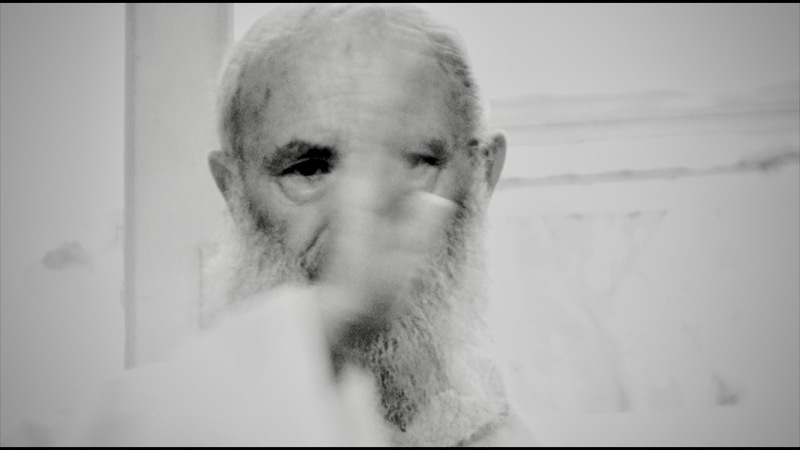 There’s a sense that the elderly priest is often preening for the camera and is enjoying being the “star” of his own movie, yet what emerges is a touching portrait of a dedicated man. Documentarians frequently chose a celebrated individual or a famous event in order to attract a wide audience. Van Houten has taken a different route, shedding light on a kind of unsung hero of his community. A bonus is spectacular photography of the Pyrenees.” Read the article here. 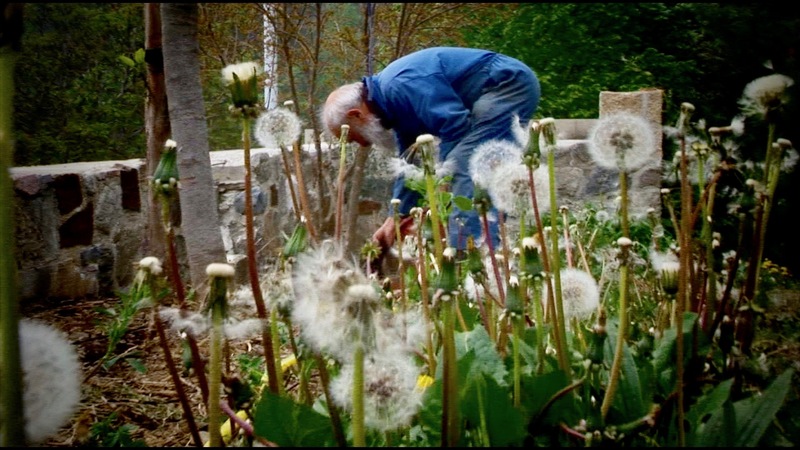 “Filmmaker Peter van Houten delivers an intimate portrait of an elfin septuagenarian priest serving a collection of small parishes in the French Pyrenees. A lyrical film, this is highly recommended.” Read the article here. 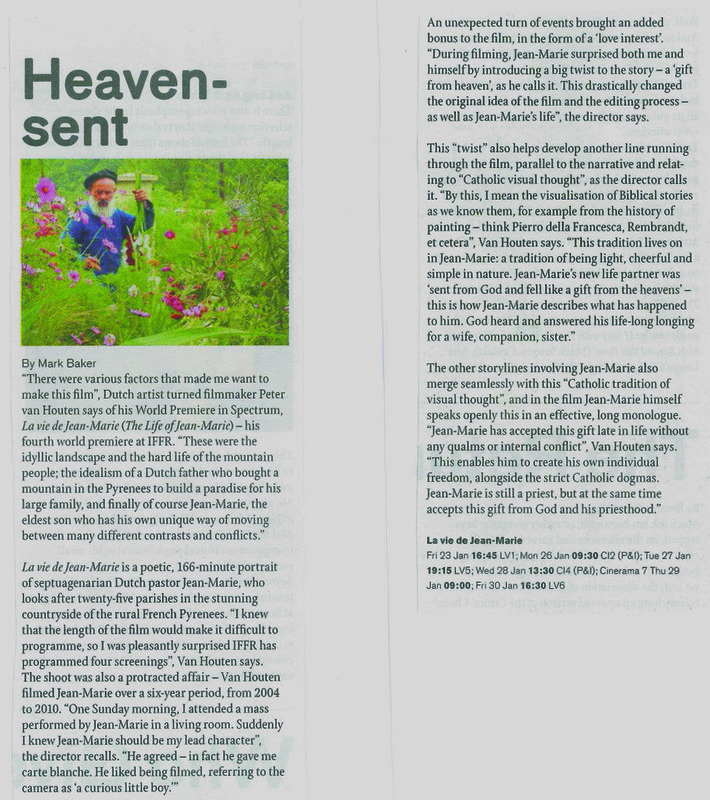 Read here all the English articles about The life of Jean-Marie.